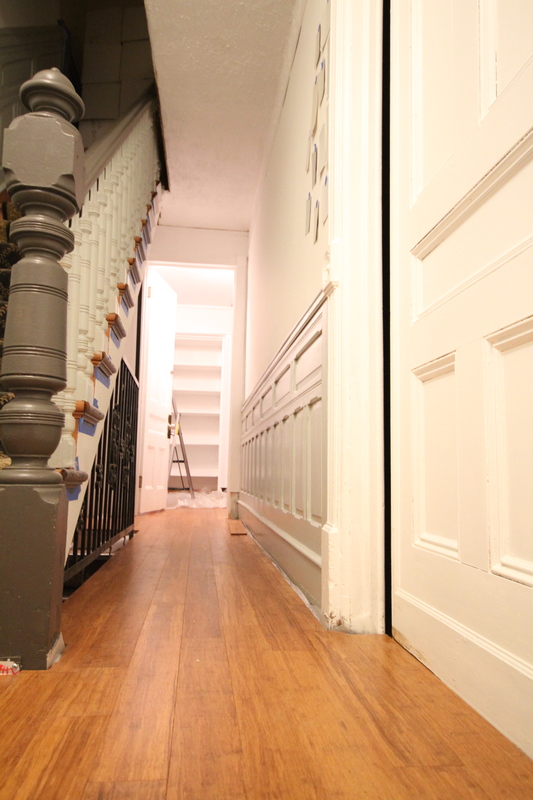 The entry way to the garden level apartment used to be a narrow hallway flanked by a mishmash of closets. 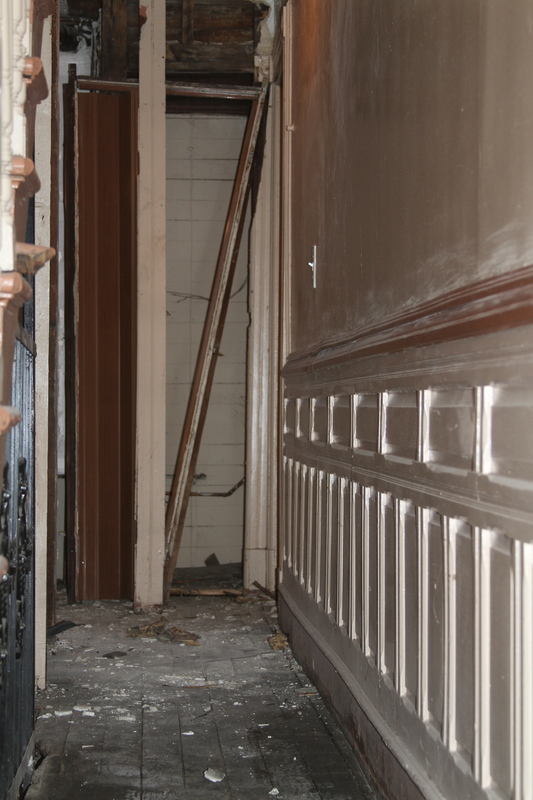 The space was barely wide enough for a person to get through – a fairly thin person that is. What is probably the world’s skinniest door. It turns out it’s hiding a really cool forgotten feature. 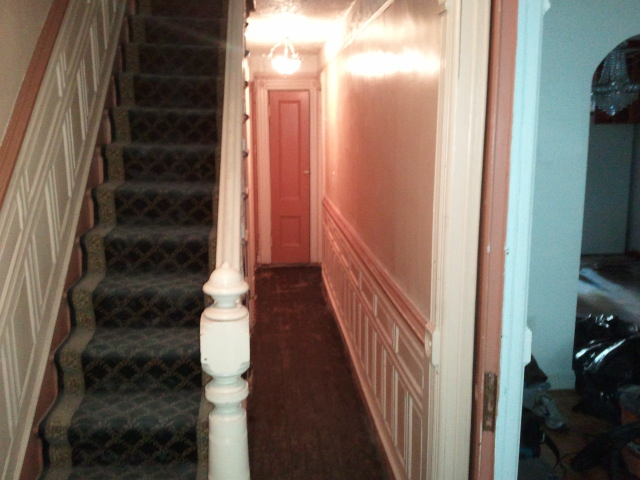 There was also evidence of some major water damage and a lot of rotted wood. Yum! 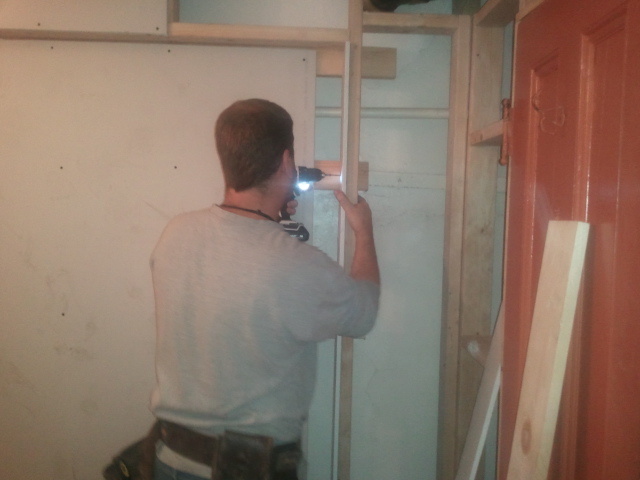 The closets were not particularly well built and seemed cobbled together from whatever materials were available, just short of cardboard. We removed them and in the process found the old dumb waiter shaft. 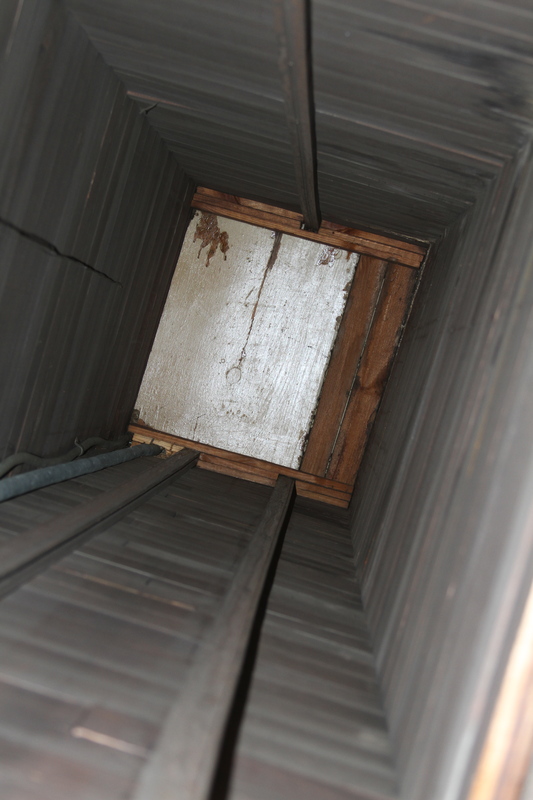 Looking up the dumb waiter shaft from the garden level. 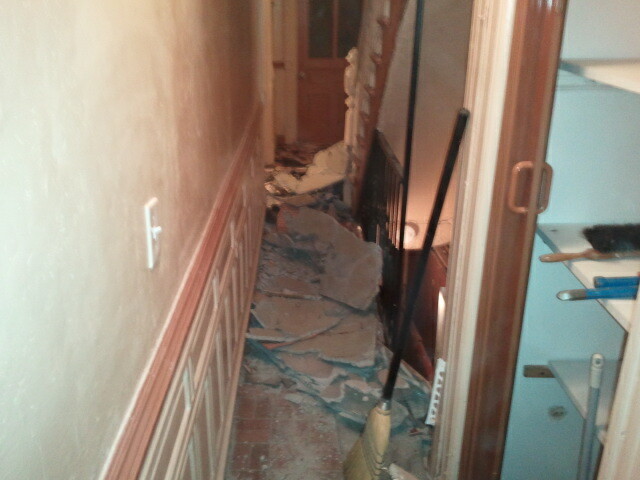 The “ceiling” above is the bottom of the pantry on the top floor. 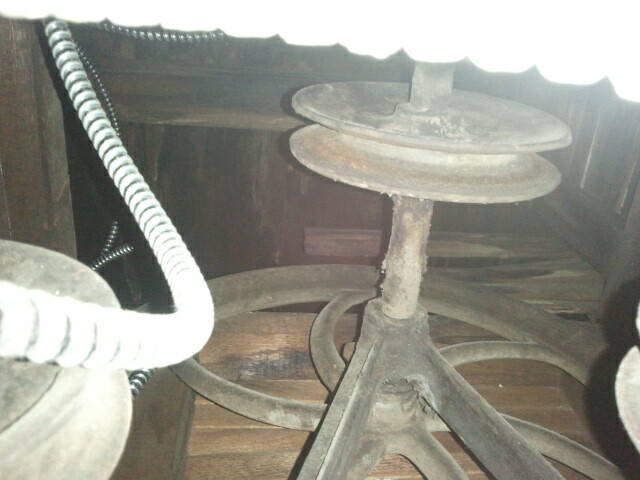 Looking up into the attic from the top floor kitchen, we found the dumb waiter mechanism still more or less intact. We replaced a water damaged wall and created a nook for coats and shoes where the closets used to be – after all, we didn’t want to give up all the storage in that area. There is now space to comfortable access the apartment and as a bonus, the awful tile is gone (and replaced with durable and earth friendly bamboo flooring).